The action was plentiful tonight (Sat., Aug. 27, 2016) at UFC on FOX 21 live from Rogers Arena in Vancouver, British Columbia, Canada, as Ultimate Fighting Championship (UFC) Welterweight title threats Demian Maia and Carlos Condit locked horns in a matchup between a submission expert and volume striker. But, before the main event popped off, the rest of the FOX card delivered on arrival. 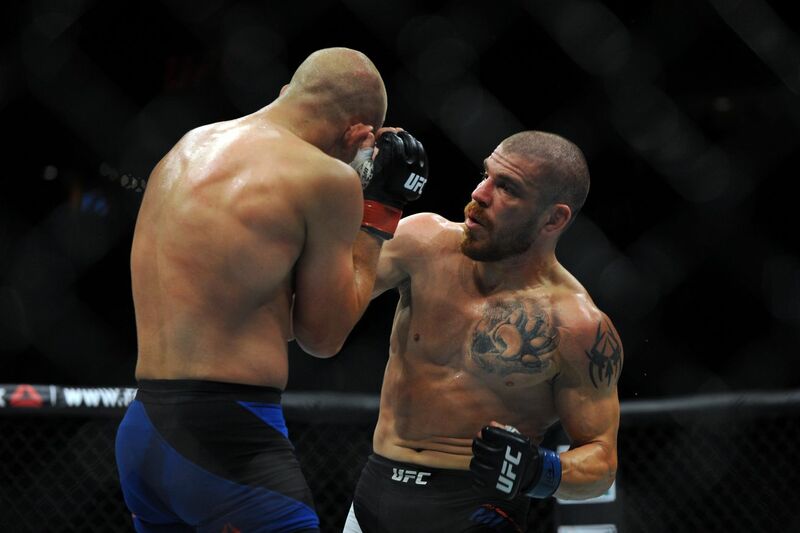 In an instant three-round classic, veterans Joe Lauzon and Jim Miller went to war to ignite the main card. Miller jumped out of the gate with aggressive and ill-intent striking, hurting and temporarily freezing Lauzon. While Lauzon offered major resistance in the form of pressure grappling, ground-and-pound and powerful counters on the feet, it was Miller who did enough on two of the judges’ scorecards to earn the split-decision victory. The full video highlights can be seen above, courtesy of UFC on FOX. With this win, Miller has now secured two-straight Octagon wins dating back to his first-round knockout of Takanori Gomi back at UFC 200. At 32 years of age, the New Jersey native seemingly still has a lot left in the tank. For complete UFC on FOX 21 results and coverage click here.